Myristin® Topical Cream contains 5% cetyl myristoleate (CMO) and 0.9% Menthol, and is a sensational topical product for muscles and joints. 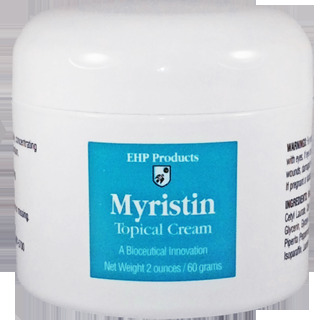 Myristin® Topical Cream is a lipoceutical product, which offers better absorption through the skin, increased biological activity, and customer acceptability. No other topical cream product on the market offers as much CMO.